Entry fee is $5 for adults 21 & older (valid IDs required). CASH ONLY. Free for those under 21. Parking is $5 per car in the Winthrop Coliseum parking areas; no vehicles are allowed into the Lake Area. Due to the significant amount of rain today with more expected ahead of the event, the Come-See-Me Tailgate is CANCELLED. While the weather will improve, the ground conditions cannot handle the event. 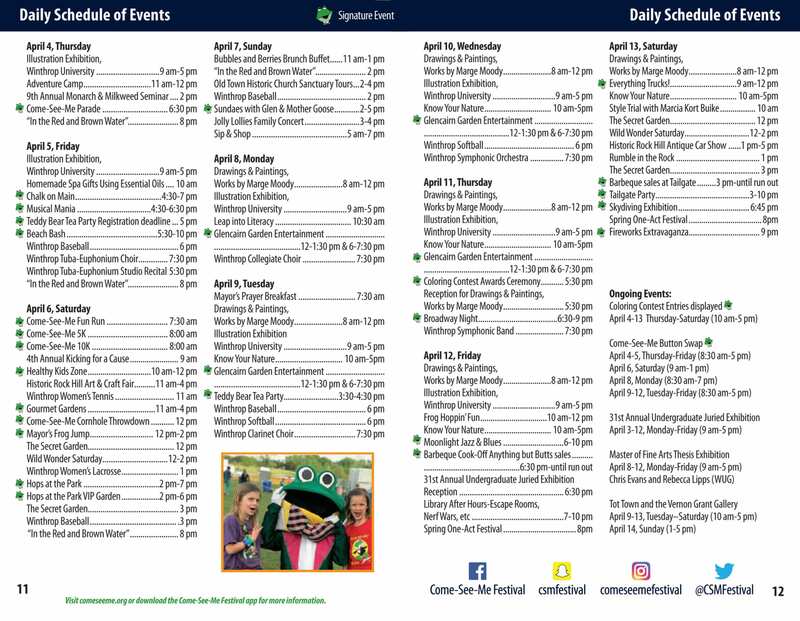 The Fireworks Extravaganza will still happen at 9:00 p.m. to celebrate the completion of the 2019 Come-See-Me Festival. Due to excessive water on the grounds, Winthrop Farm will be CLOSED. You may view the fireworks from designated paved parking spots at the Winthrop Coliseum parking lot at 9pm. The parking lot will not be open for tailgating, but ONLY for viewing the fireworks. BBQ Sales from the Barbecue Cook-Off will take place until 6 p.m. Please park in the Winthrop Coliseum parking lot and walk to the designated Barbecue Cook-Off area to purchase BBQ. We hope everyone enjoyed the 2019 Come-See-Me Festival. All those involved with the festival look forward to another great Come-See-Me with Glen & Glenda in 2020. Our festival finale is never a disappointment and this year’s is bigger and better than ever! Bring the family, don’t forget your coolers and grills* and join us for the Come-See-Me Tailgate Party & Fireworks Extravaganza. There will be live entertainment from 6 -9 pm on the Founders Federal Credit Union Stage and fireworks to close out the night. Skydiving and barbecue sales in between. Don’t miss it! 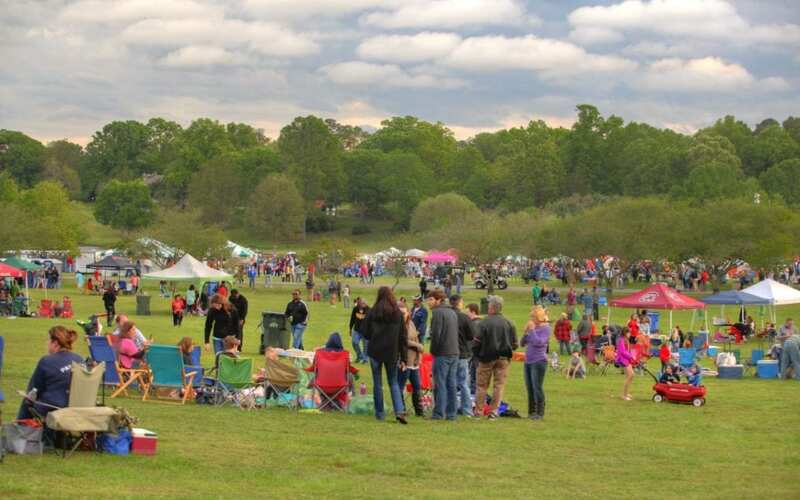 *Prohibited items and activities include tailgating in parking lots, glass bottles and containers (including wine bottles), beer kegs, pets, vendors, household furniture (i.e. sofas, etc. ), skateboards, hoverboards, bikes and rollerblades, tiki torches and similar lighting, campfires/bonfires, motorized scooters, golf carts, and RVs. Grill trailers are NOT permitted – no exceptions. * However, small grills you can roll or carry are permitted. Grounds must be vacated by 10 pm. Trash and recycling bags will be available and attendees are responsible for cleaning up their Tailgate site. Canceled if rain.